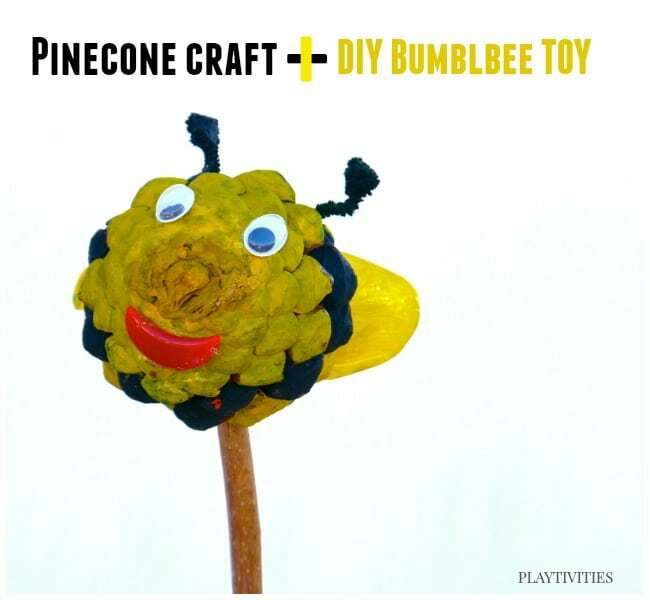 Here it comes another pine cone craft (have you seen our magic pine cone crown and a wand?) And if you are familiar with Playtivities, we make it practical here. 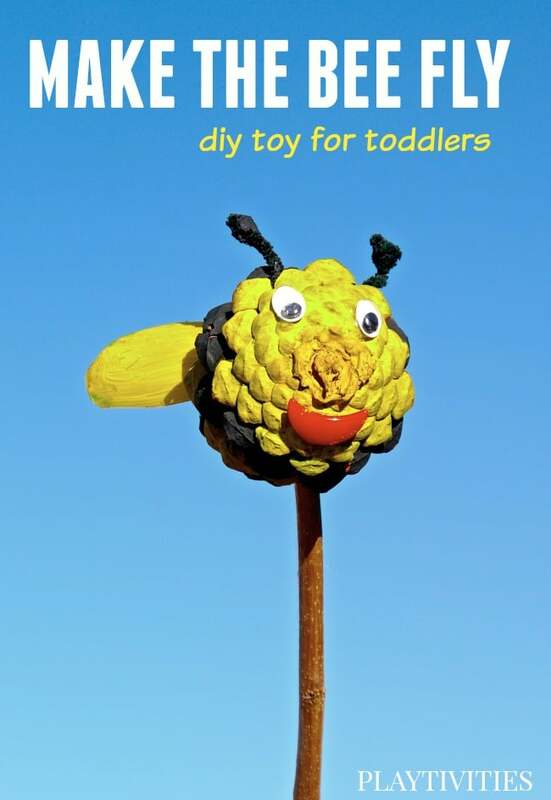 Almost all craft turns into a DIY Toy. My toddler son is into flying things lately. Everything flies for him at this moment. He is so fascinated to see something out in the air moving. 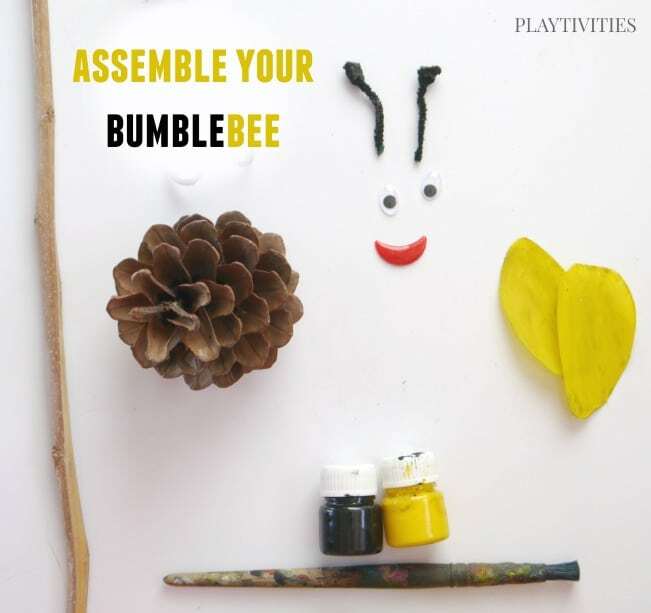 So me and the big sister decided to make him a flying pine cone craft – bumblebee. Just because. OR maybe because we have a big box of pinecones outside our front door. 1. Color the pinecone in yellow and black stripes and let it dry. 2. 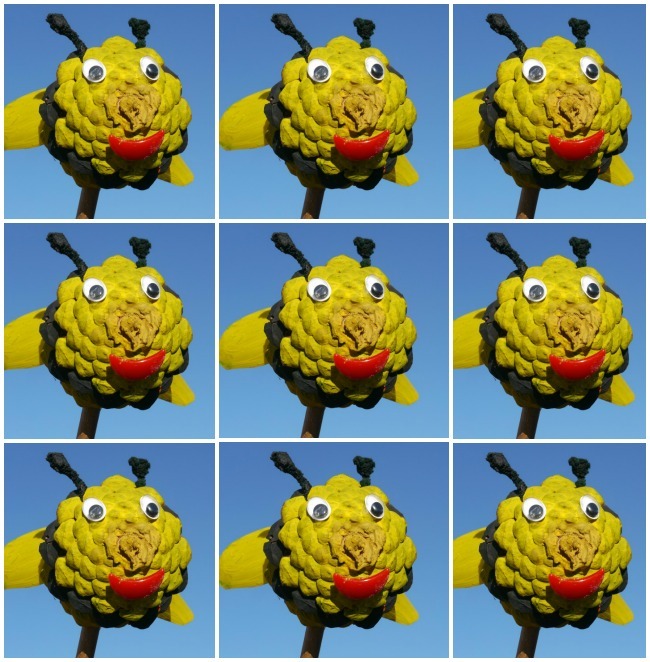 Glue on eyes, lips, antennas and the wings. 3. 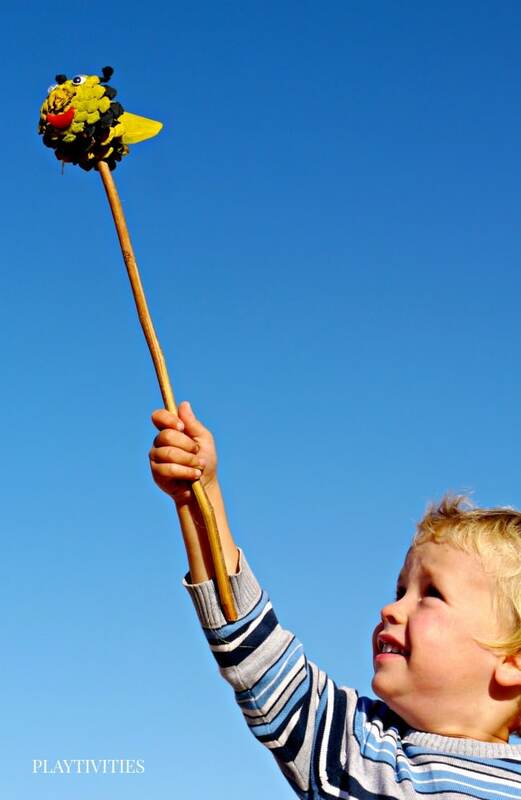 Attach the stick to the pinecone. 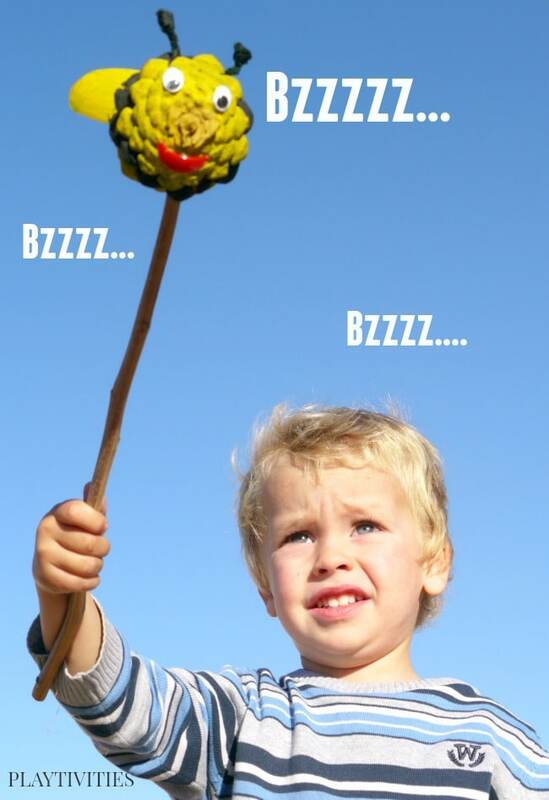 Squeeze the stick into the pinecone and secure it with super glue. 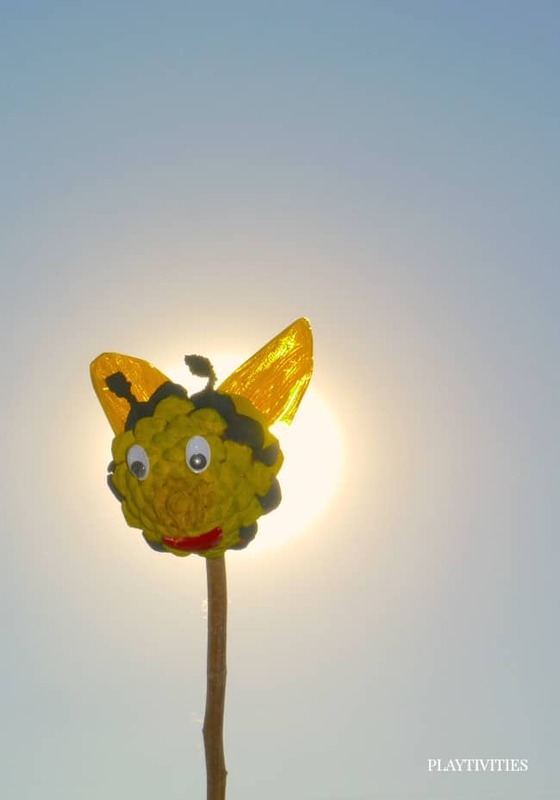 Things and places this pinecone bumblebee have seen already… The sunset including. I hope you enjoyed this pine cone craft and a toy. It’s a great homemade sibling gift as well as a really cool craft.